Just want to say thanks for the help in advertising our position. A third of the applicants listed Job Connect and Construction Hiring Connection as where they heard about the job! Posting jobs and reviewing candidate profiles to find job seekers with the right skill set. Providing internships and work experiences. Participating on local workforce boards. Recruiting through the on-site Employer of the Day program. Partnering on training grants to secure a skilled workforce. Hiring diverse participants to fill essential roles. 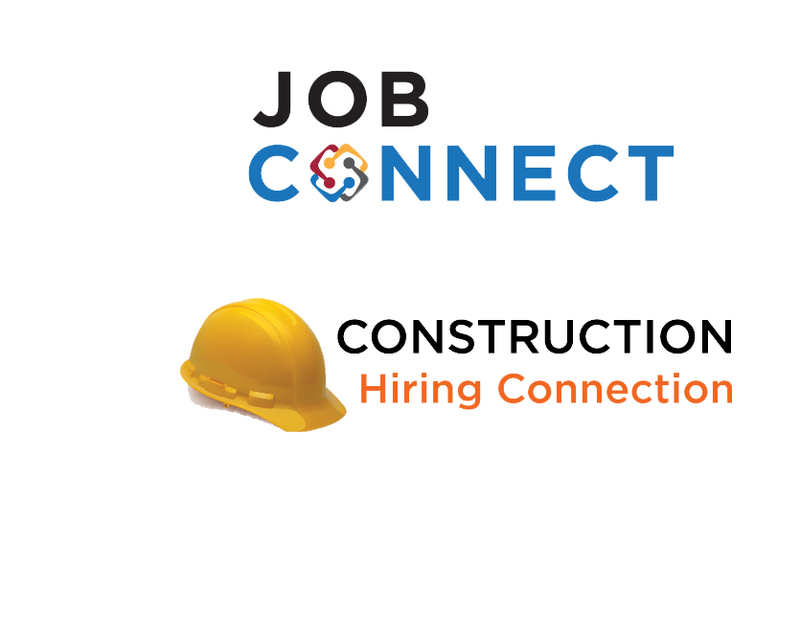 Job Connect and Construction Hiring Connection are communication networks bringing together job seekers, employers and workforce professionals from more than 200 agencies. Job Connect weekly newsletters highlight local training opportunities, community resources and job postings. Construction Hiring Connection focuses on the high-demand career pathway of construction by participating in job fairs, outreach and other events to help companies find qualified workers and meet diversity hiring goals. One focus of Business Services in 2017 was introducing local employers to the new WorkForce location in North St. Paul. Weekly employer visits began in April and continued through the end of the year. Onsite employer visits resulted in job seekers getting hired in manufacturing, warehouse, healthcare, social service and public sector positions. For more information on our employer engagement activities, contact us at askworkforcesolutions@ramseycounty.us. Twenty-three Workforce Solutions clients were hired by Fairview Health Services (which includes HealthEast) in 2017. These jobs, ranging from pharmacy technicians to security guards to social workers to phlebotomists, are life changing career opportunities for these individuals. Landing a new position with Fairview, one of the most comprehensive and geographically accessible systems in the state, is exciting and creates the possibility for family sustaining wages with benefits for Workforce Solutions' clients. Three of these newly employed workers were participants in our U LEAD program; 12 were public assistance recipients who no longer need financial assistance because of their new job. In 2017, Fairview and HealthEast participated in three job fairs that were sponsored by Workforce Solutions. This participation helped build these meaningful candidate-employer connections. 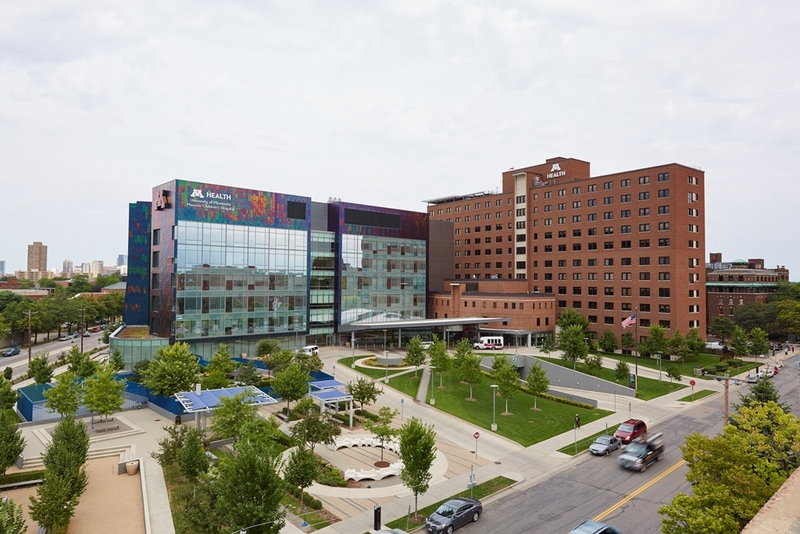 We are grateful for the partnership of Fairview and HealthEast in helping our clients and our organization achieve success. 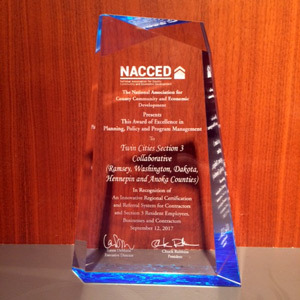 Ramsey, Washington, Dakota, Hennepin and Anoka counties received an award of excellence from the National Association for County Community and Economic Development (NACCED). The award recognized the counties' work with the Twin Cities Section 3 Collaborative and was presented at the 42nd Annual Educational Conference and Training. The event took place on September 28, 2017 in Portland, OR. Section 3 is a provision of the Housing and Urban Development Act of 1968 designed to give preference to low and very low-income persons or businesses residing in the community where a Section 3 covered project is located. This may include construction or rehabilitation of housing or other public construction. The Twin Cities Section 3 Collaborative is a partnership of various counties and cities in the area to create a central certification process for Section 3 workers.